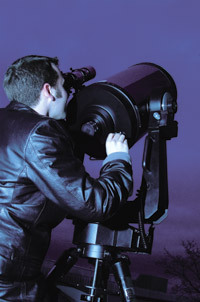 Astronomer 4 Hire offers planetarium programs inside the AstroDome Planetarium. 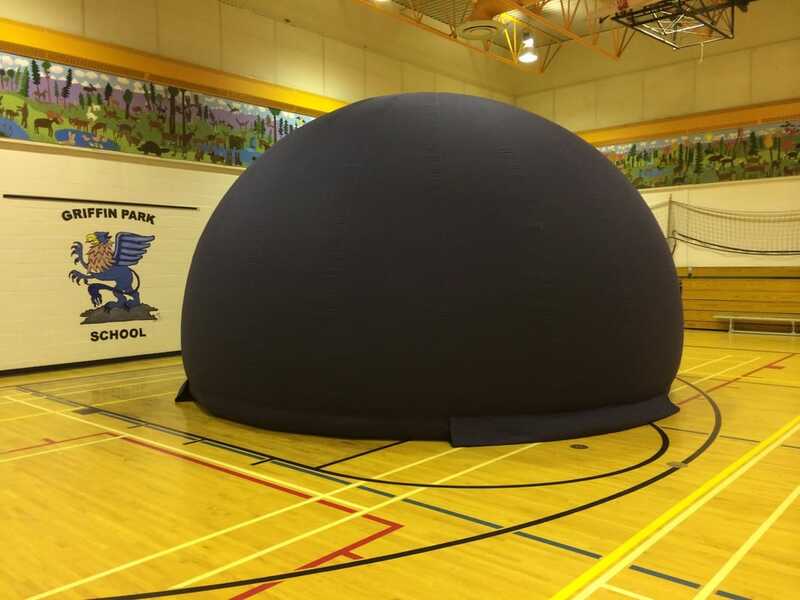 This digital mobile planetarium can be setup in your school or community centre, if the venue meets the minimum height requirements. There are different full-dome shows and school programs to choose from including Sesame Street's One World, One Sky: Big Birds Adventure. To learn more about the AstroDome Planetarium and to view the show trailers, please visit the AstroDome Planetarium website. Astronomer 4 Hire can take you on a tour of the night sky using a powerful green laser and telescope. The laser is used to point out objects of interest in the sky, such as constellations and planets or the location of a nebula or globular cluster. The telescope is then used to take a closer look at these amazing celestial objects. You can book a 30-minute, 60-minute, or 90-minute session for yourself or for a group. Astronomer 4 Hire can conduct special school programs for your students. These programs are available to both Grade 6 (Sky Science) students and Grade 9 (Space Exploration) students. Most programs involve a hands-on activity and there are a dozen programs available, including activities related to sundials, craters, infrared detectors, spectroscopy, parallax, and scale models of the solar system. Also included with each school program is some safe solar observing at lunch time, if the weather allows for this activity. In addition, if the Moon is visible during the day and the weather is good, some lunar observing will also be conducted. In 2016, Astronomer 4 Hire introduced a new science outreach program that goes beyond the usual space and astronomy programs that have been offered for years. This new program is called Fossil Adventure and it involves the examination of some actual fossils, including several dinosaur fossils from Alberta. Your students will have an opportunity to hold these fossils, which are millions of years old, in their hands. In addition, they will also get to make their very own replica fossil using a mould and some plaster. Are you looking for some content for your magazine? If so, I can help you with that. My astronomy and stargazing articles have appeared in Routes Magazine - a rural hip lifestyle magazine based in Southern Alberta. To read my past articles, just click on the PDF icons located below. If you would like me to write an article for your publication, please contact me.